Do You Really Maintain A Culture With Recognition? I have written before about stopping people from creating a “this or that” culture. In fact, in the early stages of my career, I used to deliver a course called “Making A Real Recognition® Culture”. Now I refute this belief I once stated. You only need one culture. Your culture is your company’s purpose, vision and values. It is the explicit way you do things where you work. It’s the common set of beliefs and appropriate behaviors everyone strives to follow. You don’t need a culture of engagement, a culture of trust, a culture of collaboration, or a culture of growth, innovation, or change, for that matter. You shouldn’t even have a recognition culture. What you need is your very own culture – whatever it is you and your organization stand for. But the question asked is whether recognition will help you maintain your organizational culture. Being totally up front with you, employee recognition cannot help you develop and maintain your organizational culture all on its own. It takes a lot more of your internal processes, practices and programs to sustain your company’s culture. You need strong leadership, consistent communication of exemplary cultural practices, and education to make sure people learn what is right for your company aligned with people’s personal values. However, there is definitely a symbiotic relationship between your culture and recognition practices and programs. A symbiotic relationship is typically the positive interaction between two things that are mutually beneficial to each other. So when talking about culture and recognition, you would expect both to be working together in order to achieve a positive outcome. Your organizational culture, what you believe in and share together, dictates and influences how you act and what you do. Culture drives recognition to exist and become a way of life. Or you may be unfortunate to have a lousy culture and your people end up feeling unappreciated. If you say your people matter, you will value and appreciate their contributions. Your culture will prescribe recognition as something you naturally do where you work. If you say you should have pride in your work performance and take time out to celebrate achievements and personal accomplishments, guess what? You make it happen! The value of respect must come first before you can ever recognize someone. You even have to appreciate yourself first before you can authentically appreciate another person. Your organizational culture will make recognition and every other interpersonal skill and leadership competency happen or not. In turn, recognition comes to your culture’s rescue. When you recognize people for demonstrating positive behaviors you are reinforcing your culture. Every time you are courteous and call someone by his or her preferred name you are showing respect and that’s a form of recognition. You acknowledge outstanding achievements of individuals and teams by taking time out to celebrate together. This shows you value what people are doing. When the company honors the service and contributions of employees through milestone recognition awards and events, it allows the company and its leaders to say thanks and keeps people loyal to the organization. Recognition practices and programs really do reinforce and shape what your organization believes and stands for. Strengthen your culture and you will see recognition wanting to happen. Provide people with the recognition skills and resources and you will have a culture people will want to become a part of. Culture drives recognition and recognition reinforces culture. 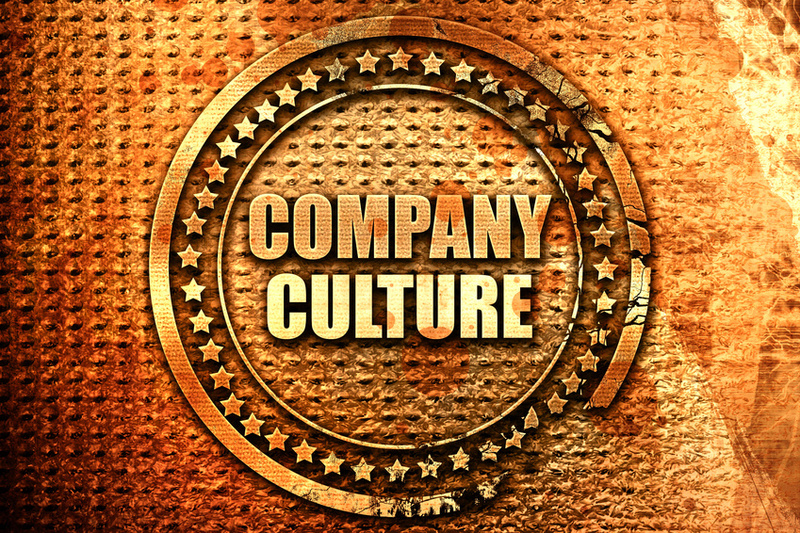 Question: How does your organization’s culture drive your recognition practices and programs?